Merkel Gear – this is equipment and clothing, which satisfies the same standards in quality and practical use as the hunting rifles by Merkel. Merkel is proud to have, alongside the hunting guns, a complete assortment of functional clothing and equipment since 2016. Into every single product of this line, a lot of time and knowledge has been invested. 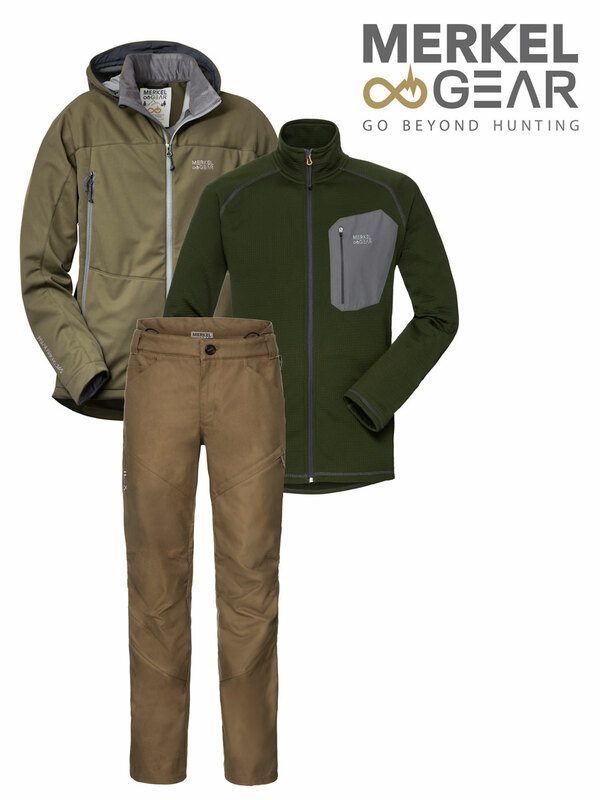 Every product combines the expertise of high-end hunting, outdoor, work and tactical clothing and has been developed by an interdisciplinary team of textile experts and experienced hunters. Merkel gear sets standards in regards to quality, versatility, performance and durability. During the long test phases, every detail is examined and improved. The products of Merkel Gear orientate themselves on the long life cycles of Merkel hunting guns: in contrast to common hunting clothing, we do not want to flood the market with new collections every year which will be gone within two years. We want to produce classics and special products for our customers, which will still be of use after years and be of use to hunters even in the farthest parts of the world.